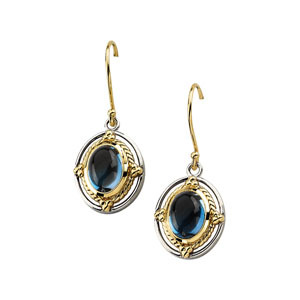 London blue topaz cabochon earrings are made of polished sterling silver and 14kt gold. Stone size: 8mm by 6mm. Weight: 4.27 grams.